Although I consider myself pretty food-savvy, lately I’ve been noticing a mysterious drink in the hands of many around campus. 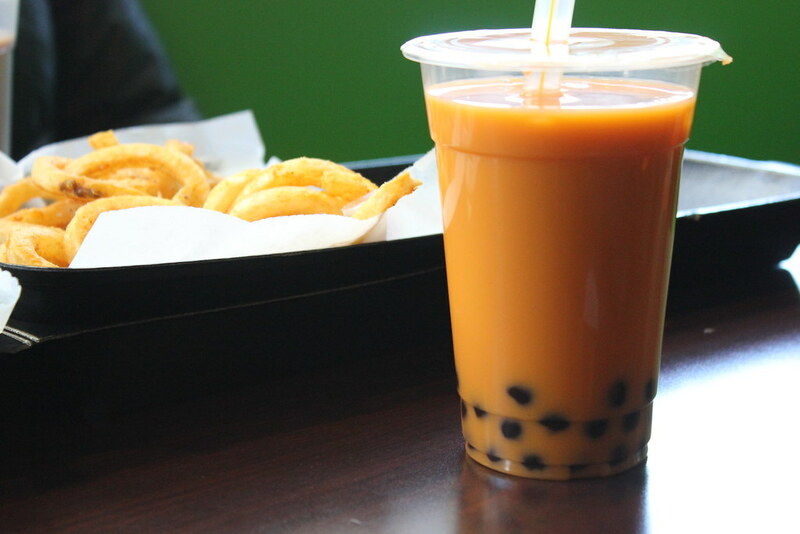 Bubble tea, also known as “Pearl Milk” or “Boba Tea,” is everywhere, especially on South U. Turns out, not only is bubble tea kind of a big deal, but some people cherish it almost as much as others cherish coffee or soda. The drink is actually quite simple. 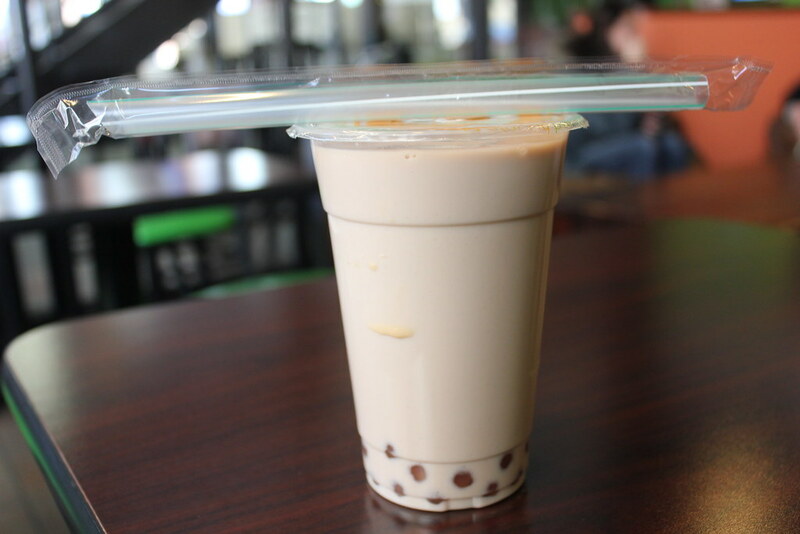 It’s really just tea, sweetened milk, and black tapioca “pearls” that sit in the bottom of the cup. You can add other variations like green tea, fruit juices or coffee for the base, and other types of “bubbles” to decorate your drink. The amount of customization is a little bit like Starbucks, if Starbucks used more tapioca. Originating in Taiwanese teashops during the 1980s, Bubble tea has made its way into our American culture and, more importantly, to AA. 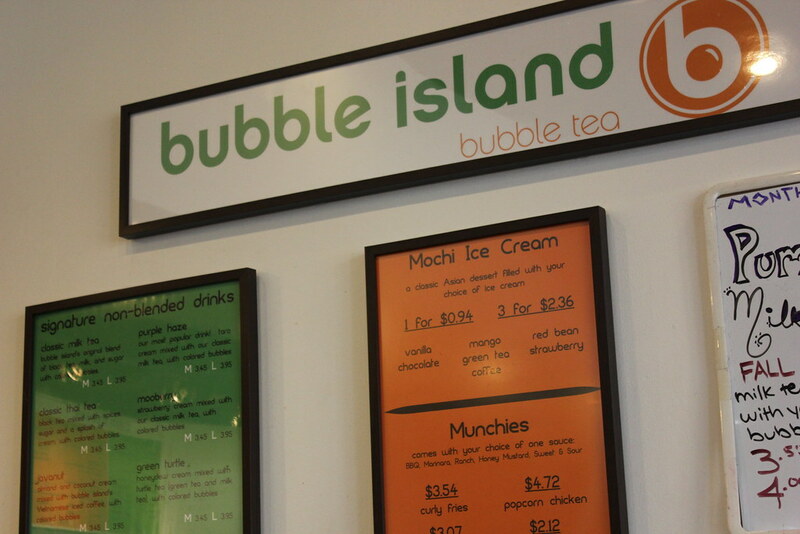 With multiple places that serve bubble tea, I headed over to Bubble Island on South University to check out what’s so special about this popular, if really weird, combination of liquids. To my surprise, the drink menu was extensive — who knew there could be so many ways to drink tea and milk? This particular shop offered specialty drinks as well as a “make your own” version. Recommended as the most popular drink by my server, I tried the Purple Haze: taro cream mixed with classic milk tea and colored bubbles. With the seeming obsession over bubble tea, I was a little disappointed after my first sip. It was…unique. Yeah, it looked super cool with the little pearls at the bottom, but in the end I felt like I was just drinking tea drenched in milk. Don’t get me wrong, I’m sure some of the other flavors of drinks had better taste to them, but the experience I had was nothing to freak out over. But, the chicken poppers and curly fries the table next to me ordered did look phenomenal (do we have another Rod’s on our hands with this odd combination of Taiwanese tea and fried chicken?). Overall, bubble tea is definitely something to try at least once in your life, but I plan on sticking to non-“bubble” beverages when I want a treat.